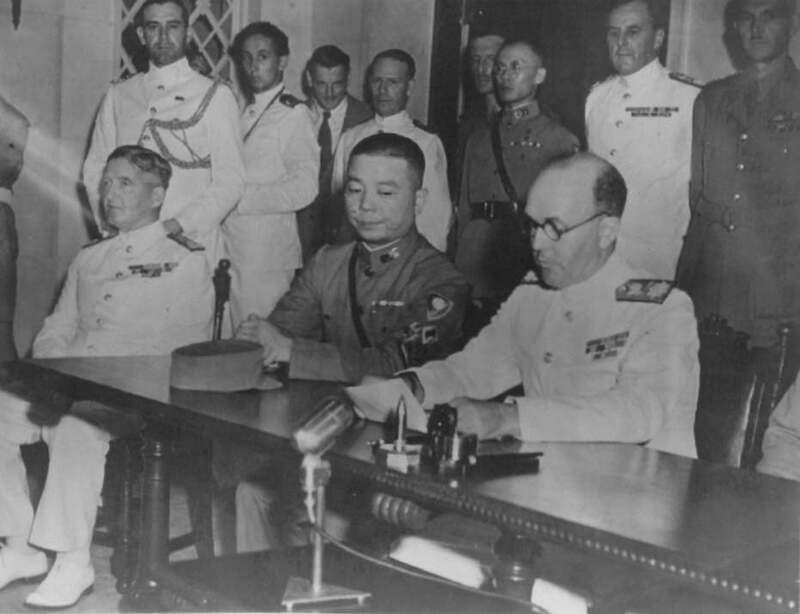 Rear Admiral Cecil Harcourt (C-in-C Hong Kong) signs the British acceptance of the Japanese surrender on the 16th. 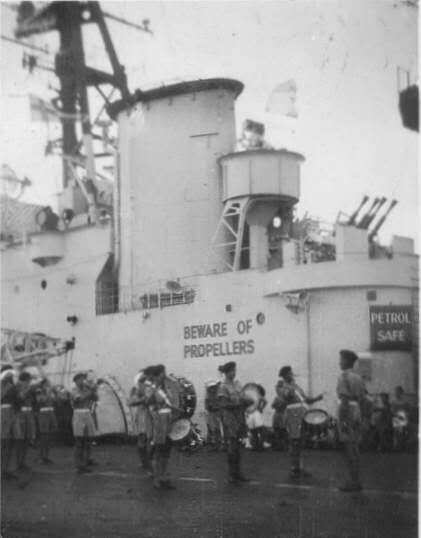 September 1945. Admiral Sir Bruce Fraser (C-in-C British Pacific Fleet) sitting far left. 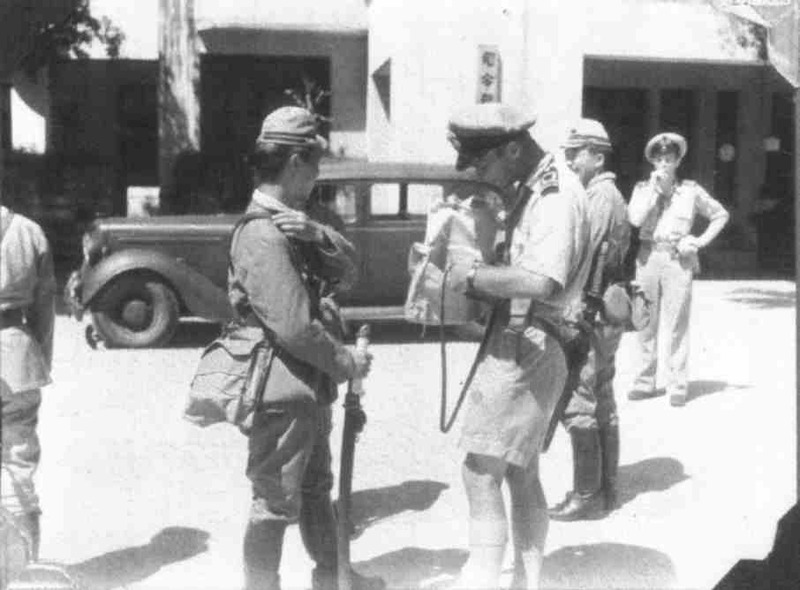 Japanese troops being searched by Naval personnel in Hong Kong. The Royal Marines band of HMS. Vengeance. 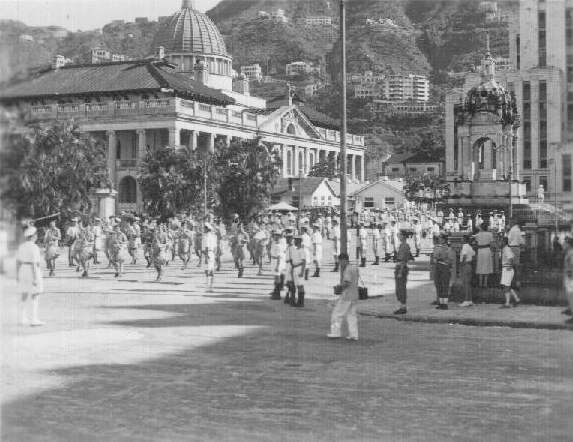 Guard of honour in Kowloon, Hong Kong, on 16th September 1945. Victory parade, the Royal Marines of HMS. 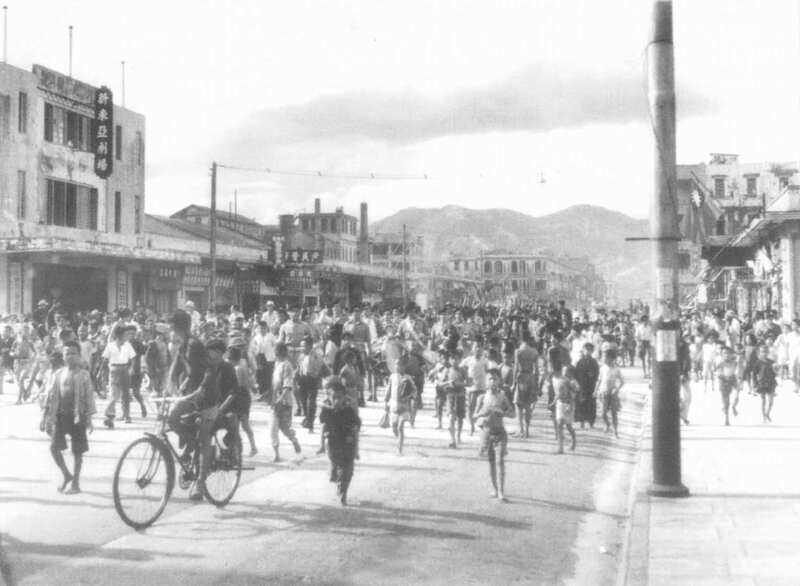 Vengeance, parade through the streets of Hong Kong, 16th September 1945. 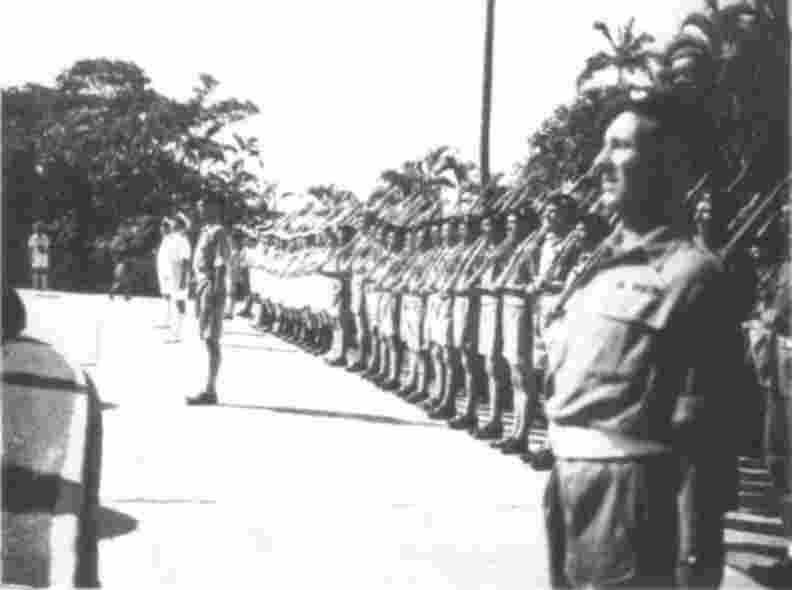 Victory parade by HMS. 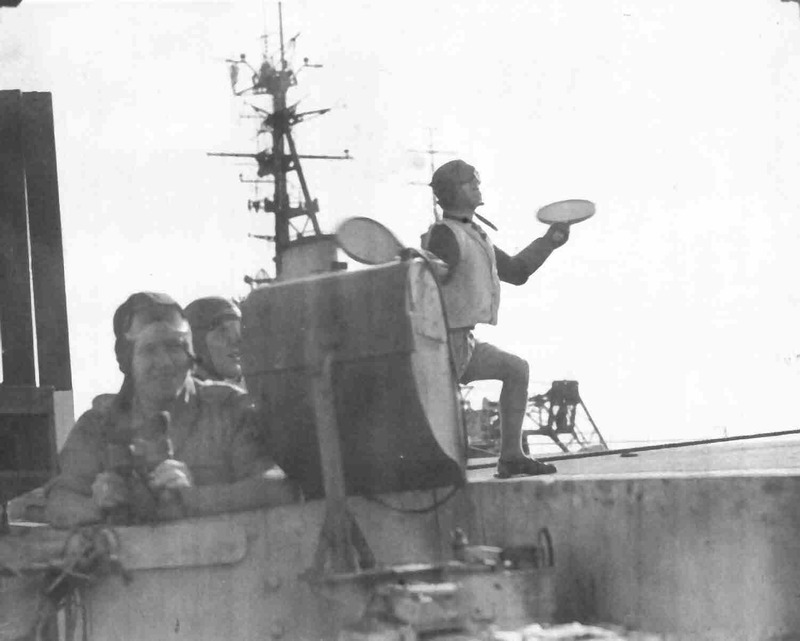 Vengeance Ship's company through Hong Kong on 16th September 1945. Regulating P.O. 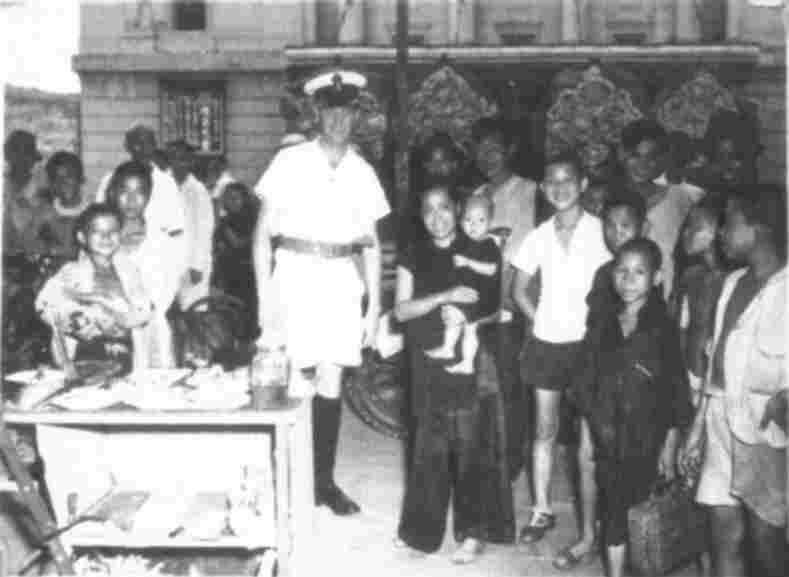 Poole, on the streets of Hong Kong. 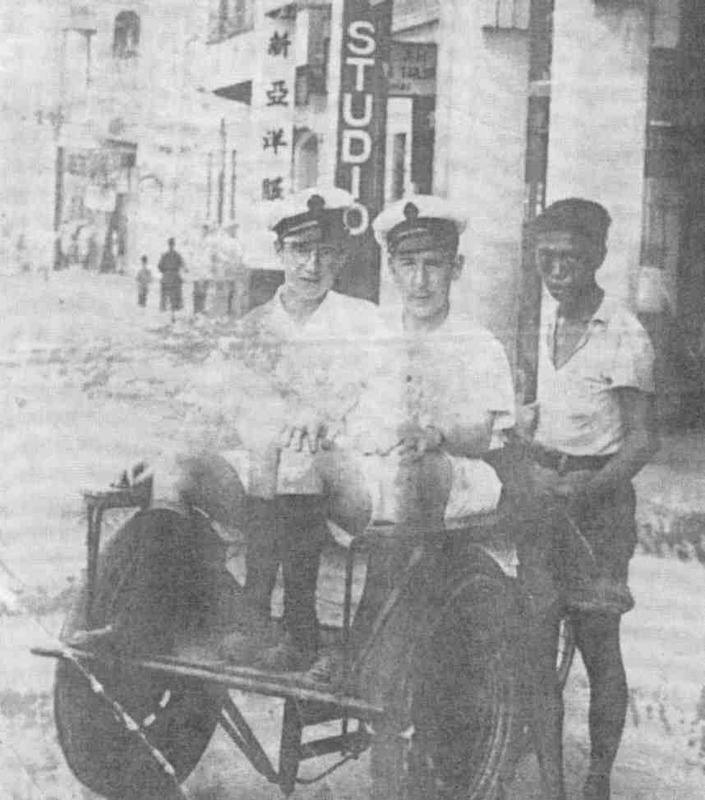 Petty Officers G. Kissack (left) and D. Jones (Supply) in Hong Kong on 8th October 1945. The 'Bats Officer', L/Cdr. Empson at work on HMS. Vengeance on 21st December 1945. The aircraft of both squadrons returning to the ship, from Kai-Tak airfield. 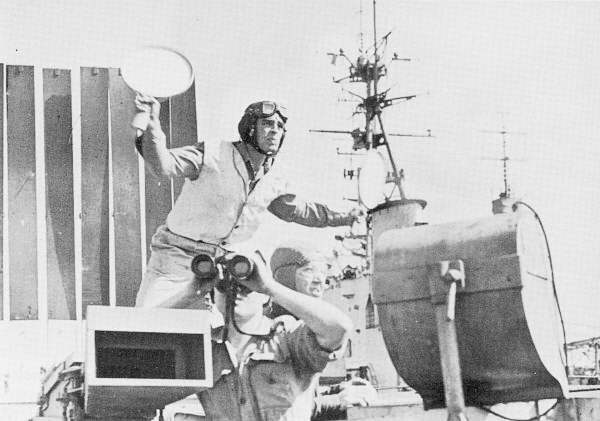 The deck landing crew at work on HMS. Vengeance on 21st December 1945.